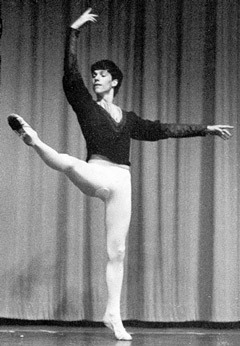 Robert Skafte trained and danced with Westside Ballet in the early 1980s. He went on to dance professionally with Kansas City Ballet from 1984 to 1994, under the direction of Todd Bolender. Robert then moved to Minneapolis, where he now dances with the dance theater company Ballet of the Dolls. Founded in 1986 by choreographer Myron Johnson, Ballet of the Dolls has a new home at the Ritz, a remodeled 1928 movie palace.